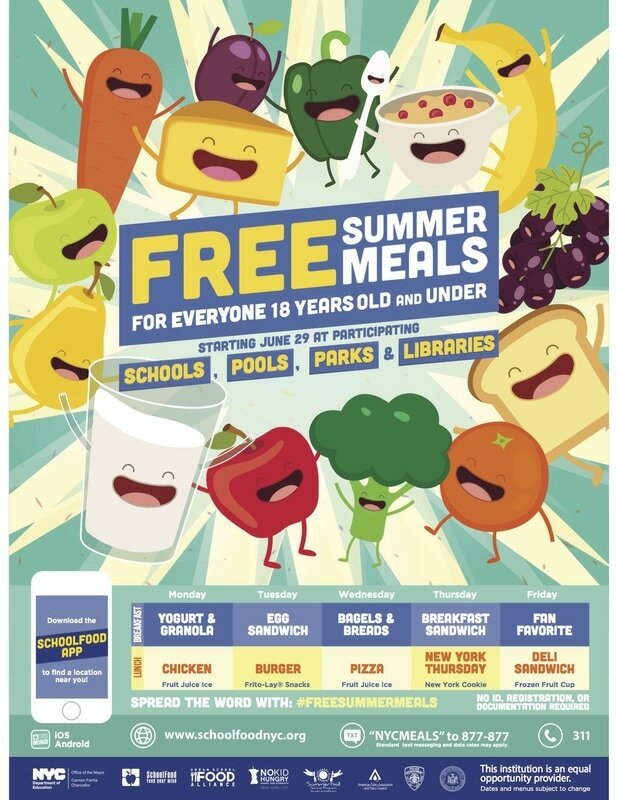 The annual Summer Meals program will begin on June 29, providing free, healthy breakfasts and lunches at hundreds of public schools (including MS54), pools, parks, New York City Housing Authority complexes, libraries and other locations around the city. Summer Meals are available to all children 18 years and younger, regardless of New York City residency. No ID, registration or documentation is required. Families can download the free SchoolFood mobile app (for both Apple and Android) and find Summer Meals locations by visiting schoolfoodnyc.org, or texting “NYCMEALS” to 877-877, or dialing 311.